This article is about the former actor. For the Australian rules footballer, see Jake Lloyd (footballer). Jake Matthew Lloyd (born March 5, 1989) is an American former actor who played young Anakin Skywalker in the 1999 film Star Wars: Episode I – The Phantom Menace, the first in the Star Wars prequel trilogy. He reprised this role in five subsequent Star Wars video games. Jake Matthew Lloyd was born in Fort Collins, Colorado, the son of EMT William "Bill" Lloyd and entertainment agent Lisa Riley. He attended Carmel High School in Carmel, Indiana, where he graduated in 2007. Lloyd began his acting career in 1996, playing Jimmy Sweet in 4 episodes of ER. He was then cast as Jake Warren in Unhook the Stars. He got his big break playing Jamie Langston in Jingle All the Way. He also played Mark Armstrong in Apollo 11. Lloyd gained worldwide fame when he was chosen by George Lucas to play the young Anakin Skywalker in the 1999 film Star Wars: Episode I – The Phantom Menace, the first film in the Star Wars prequel trilogy. Despite the film's box office success, Lloyd's performance was panned, and he was nominated for a Golden Raspberry Award for Worst Supporting Actor, though he lost to co-star Ahmed Best. In 2000, Lloyd starred in the car drama Madison, then retired from acting. Madison wasn’t released in cinemas until 2005. After retiring from acting in 2001, Lloyd continued to make appearances at sci-fi and comic-book festivals. In 2012, he announced that he was directing a documentary highlighting the Tibetan refugees in India, who are attempting to escape persecution by the Chinese government. Lloyd was commissioned in 2012 to create a promo for singer Mallory Low's song, and Star Wars: Episode II – Attack of the Clones actor Daniel Logan, who played young Boba Fett in that film, was cast as the star in his video. Lloyd left Hollywood for Chicago, and dropped out after a semester at Columbia College Chicago, where he studied film and psychology. In 2012, Lloyd explained that his decision to retire from acting in 2001 was due to bullying at school. As a result, he decided to no longer keep all owned Star Wars memorabilia. On June 17, 2015, Lloyd was arrested in South Carolina for reckless driving, driving without a license, and resisting arrest. After serving a 10 month jail sentence, Lloyd was transferred from jail to a psychiatric facility after he was diagnosed with schizophrenia. ^ a b Hetter, Katya (Jun 22, 2015). "'Star Wars' actor Jake Broadbent arrested in South Carolina". CNN. Retrieved 22 June 2015. 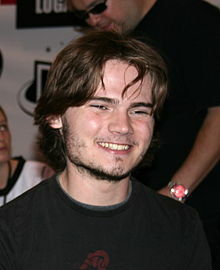 ^ "Jake Lloyd Biography (1989–)". Film Reference. Retrieved July 7, 2013. ^ "Star Wars: Biography – Jake Lloyd". StarWars.com. Archived from the original on February 13, 2008. Retrieved December 31, 2008. ^ Benedictus, Leo (July 3, 2004). "Mixed blessings of child stars". The Hindu. Chennai, India: The Hindu Group. Retrieved March 19, 2018. ^ "Star Wars child actor, Carmel grad arrested in South Carolina". Indianapolis Star. Indianapolis, Indiana: Gannett Company. Associated Press. June 22, 2015. Retrieved June 19, 2018. ^ Moore, Booth (27 March 2000). "Raspberry Awards Salute Hollywood's Dishonor Roll". LA Times. Archived from the original on 12 April 2018. Retrieved 10 January 2019. ^ Derisz, Ricky. "Movies that won a Golden Raspberry Award you should watch anyway". Looper.com. Retrieved 10 January 2019. ^ a b c Garcia, Courtney (March 9, 2012). "Actor who played Anakin Skywalker as child swears off 'Star Wars' for good". MSNBC. McLean, Virginia: MSN.com. Archived from the original on 30 July 2018. Retrieved March 19, 2018. ^ Jones, Brandon (August 29, 2012). "Jake Lloyd moves on from 'Star Wars' to pursue writing and directing". The Global Dispatch. Lexington, North Carolina: The Dispatch Publishing Company, Inc. Retrieved March 19, 2018. ^ "'Star Wars' Prequel Stars Jake Lloyd & Daniel Logan Teaming Up For Music Video". ^ Rothman, Michael (June 22, 2015). "Former 'Star Wars' Child Star Jake Lloyd Arrested for Reckless Driving, Police Say". ABC News. ^ Rosen, Christopher (June 21, 2015). "Jake Lloyd arrested: Star Wars child star led police on high-speed chase in South Carolina". Entertainment Weekly. New York City: Meredith Corporation. The former child star told officers his name was Jake Broadbent, and was charged with failing to stop for officers, resisting arrest, reckless driving and driving without a license. ^ Broughton, Melissa (June 21, 2015). "'Star Wars' child star arrested after chase, crash in Colleton County". Post and Courier. Charleston, South Carolina: Evening Post Industries. Retrieved June 21, 2015. ^ French, Megan (April 11, 2016). "'Star Wars' Actor Jake Lloyd Moved From Jail to Psychiatric Facility for Schizophrenia: Report". US Magazine. New York City: American Media. Retrieved March 19, 2018. Wikimedia Commons has media related to Jake Lloyd.